Staying warm in the winter isn’t always easy, and turning up the heat isn’t always a solution. 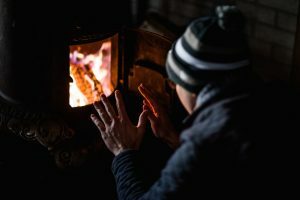 Thankfully, there are a number of simple things you can do to help you stay warm in the winter. Staying warm often begins with what you’re wearing. While people typically assume that thicker clothing will keep them warmer than thinner clothing, they may overlook the importance of layers. Layers aren’t about thickness. The more layers you wear, the harder time the cold will have in penetrating them and reaching your body. It works as an insulator. The warm air gets trapped in between each layer and keeps your body warmer than a single thick layer would’ve. It shouldn’t come as a surprise that exercise and physical activity make your body hotter. While people typically take note of this in the summer and try to find ways to beat the heat and cool off during and after physical activity, the same concept holds true for the winter. If you’re getting chilly, more movement may be what it takes to bring your heat levels up again. Water is more than just about quenching your thirst. It also retains heat. So making sure you’re well hydrated for keeping yourself warm. There are many other ways to stay warm. So do what works for you and find the right balance between the different tips. A word of caution: Some people are always cold. If nothing seems to be making a significant difference or you always feel cold, speak to your doctor. There are other reasons for feeling cold, and if it’s something more serious that’s causing it, you want to get to the bottom of it as soon as you can.